Delicious sugar free mints made with 100% natural ingredients, containing absolutely no artificial sweeteners, flavours or colours. 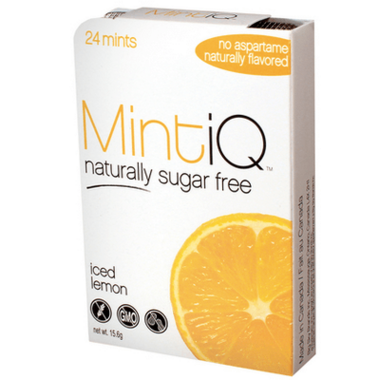 MintiQ is sweetened with sorbitol and xylitol. These don't taste like lemon mints so much as they taste like really really strong cough drops. Think Fishermens Friend x2. You don't really even notice the lemon, it's more a medicinal taste than anything.